Vitamin B12 is a necessary supplement for human and animals body. It helps maintain the nerve cells of the brain. It is also involved in several metabolic functions. This makes this supplement a necessary part of dietary intake in humans. Aside from its use in humans, Vitamin B12 injection is also used in pets, especially those who are herbivores. Vit B12 is usually taken from meat and meat products. Since horses or camels mainly eat plants, they, along with other herbivorous animals are at risk for developing Pernicious Anemia caused by the deficiency of this vitamin. If not corrected, the disorder can cause several problems in these pets and can eventually lead to death. With this injection should be given to correct the problem of Pernicious Anemia to these animals. B12 shot is a chemically produced form of this Vitamin. This procedure used in animals to correct any B-12 deficiency. Animal keepers usually give injectable B-12 to the pets such as horses, camel and greyhounds to stop the progression and cure Pernicious Anemia. In healthy animals, this injection can also be used as a supplement to keep them healthy. Of course, B-12 is also available in tablet form. This can also be used to correct the problem of anemia in horses or can be used as a supplement and mixed with their food. Although this is true, most of the pet owners or the doctors themselves prefer it because the intramuscular injection has a faster effect compared to oral tablets. Moreover, it allows maximum absorption and storage of the vitamin in older animals. The absorption of Vitamins are affected by age and so the injection route is much better compared to oral supplements. In connection to this, oral tablets have decreased absorption in animals because it should be chewed while B-12 vitamin injection only needs to be administered on the muscle to be absorbed by the body. It comes in a 30 ml vial. Because B12 is easily destroyed by light, the vial is of different color to protect its content. As a general rule, 2 micrograms per kilogram of body weight daily is the required dose of the B12 injection in order to correct Pernicious anemia in animals. Same dosage is required as a supplement. It can be given via the vein or via the muscles depending on the need of the animal. Like most of the dietary supplements, injection of vitamin B-12 is available in any vet clinics and can be purchased over the counter. This vitamin is also necessary for animals, especially those whose diet mainly consists of plants. It can be given to these pets as a form of supplement or to correct the vitamin B12 deficiency called Pernicious Anemia. 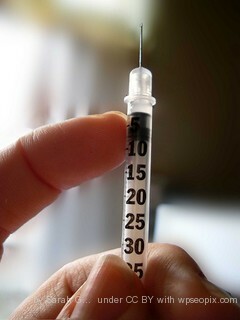 B12 injection can be given at 2 micro-grams per kilogram of body weight daily to achieve the desired effect. Providing this vitamin to the pets not only ensures that the deficiency is cured, it also helps give the animal’s better quality of life.